Very good and helpful staff. Very good ocean view. 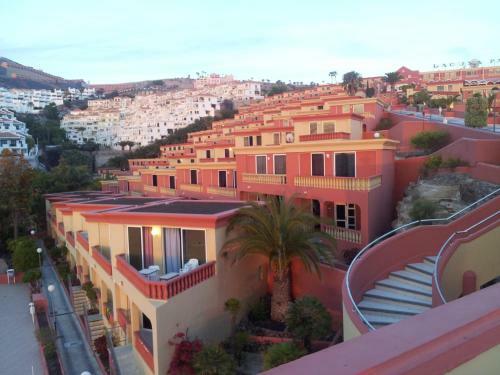 Near aqualand and go distance to the beach. Very good for those who like walking up and down the hill , like me. Taxi and bus available . A Supermarket is part of the hotel. I loved the pool. I never struggled to get a sun bed and the location was perfect, although it was tiring walking up the hills. Breakfast, location, small kitchen with basic staff for cooking/ eating in the room, good prices for the half-board or all inclusive. Lovely stay,clean apartment also regularly cleaned and towels changed. Good location not to far to walk into town,we hired bikes from the hotel for the week great price. Self catering. Could have done with a toaster in the room. The complex has everything you could need and the supermarket from just outside the park is satisfying, but more expensive than the Mercadona that’s 3-400 m of walking. The further you are from the reception and pool, the quieter the apartment is. They have daily offers for fresh made food right at the pool area (for those that don’t opt for all inclusive). The apartment was cleaned almost daily, sheets changed at 4 days and you have all the necessary things, but soap, shampoo, shower gel or any of this kind. You have to request and pay extra for an apartment with a view, otherwise you’ll get just a regular apartment. The complex seemed safe and it was quiet. We stayed in a room with a refrigeration unit on the roof. It was very loud all day and night. We did not sleep very well. We complained to reception but nothing was done. Laguna Park 2 This rating is a reflection of how the property compares to the industry standard when it comes to price, facilities and services available. It's based on a self-evaluation by the property. Use this rating to help choose your stay! 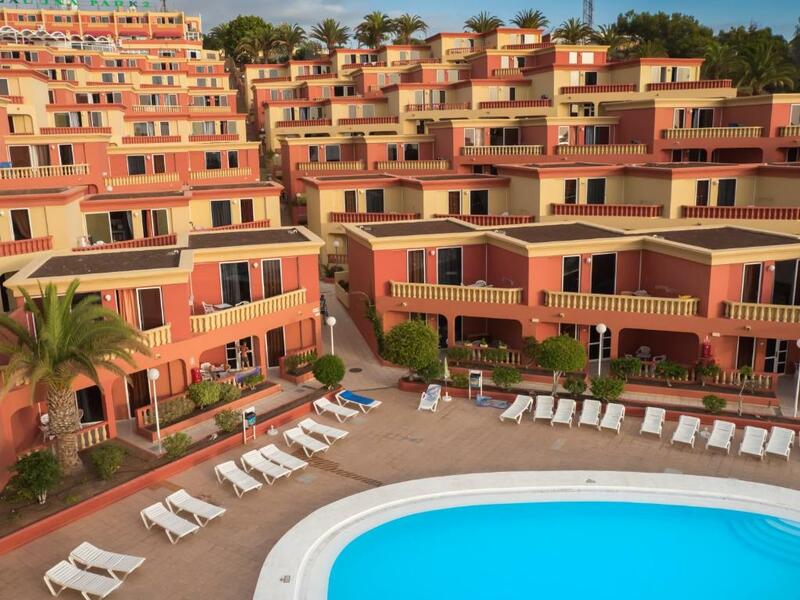 On the Costa Adeje, in the south of Tenerife, the smart and modern Laguna Park 2 apartment complex has excellent on-site facilities, including an outdoor swimming pool. Spend the day sunbathing by the swimming pool. There the children can take a dip in the cool waters of the pool or play in the on-site game room. Laguna Park 2 Tenerife is located just a short walk from the beach, so after a wholesome breakfast in the morning, you can head down to the beach with the whole family. Laguna Park 2 apartments in this complex has a lounge area, an American-style kitchen, where you can prepare your own meals, and a balcony, where you can soak up the sun in privacy or enjoy the views. When would you like to stay at Laguna Park 2? This studio features a terrace and a living-dining area. The kitchenette has a ceramic stove, microwave and fridge. A TV and a safe are available. This apartment has a twin bedroom with a wardrobe. It features a spacious living-dining area with a sofa bed and a bathroom with bathtub. The kitchenette features a breakfast bar and has a ceramic stove, microwave and fridge. There is a furnished terrace. This apartment has one double bedroom with a wardrobe. It features a spacious living-dining area with a sofa bed and a bathroom with bathtub. The kitchenette features a breakfast bar and has a ceramic stove, microwave and fridge. There is a furnished terrace. This apartment has one twin bedroom with a wardrobe. It features a living-dining area with a sofa bed and a kitchenette with a ceramic stove, microwave and fridge. There's a furnished terrace, TV and a safe. This apartment features a private terrace with outdoor furniture and views of the sea. There is also a living area, full kitchen, and 2 bedrooms. Please note that this apartment is for families only, and groups will not be accepted. This apartment features views of the pool, mountains or sea. It has a tile/marble floor, microwave and satellite TV. This apartment has a microwave, toaster and tile/marble floor. This apartment features a electric kettle, view and toaster. Laguna Park 2 tiene unas vistas increíbles de Costa Adeje y La Gomera. Aquí podrán disfrutar de su estancia con nuestras magníficas instalaciones y amplios apartamentos. Me apasionan los hoteles y el turismo, la atención al cliente y poder satisfacer sus necesidades. Nuestro objetivo es su satisfacción. Hay mucho que hacer en Playa de las Américas, excursiones en barco, tiendas, bares y restaurantes de comida típica canaria. Todo a pocos minutos de Laguna Park 2!! House Rules Laguna Park 2 takes special requests – add in the next step! Laguna Park 2 accepts these cards and reserves the right to temporarily hold an amount prior to arrival. Please note that the free shuttle service to the beach is available Monday through Friday, 5 times a day. On Saturdays it is available 3 times a day. Please note that the safe and television in rooms carry a refundable security deposit, which will be refunded upon check-out. We didnt like uncomfortable beds and the sofa bed where our child was supposed to sleep. It was placed straight in the entrance room where of course we didnt leave the child to sleep. And it was not comfortable to sleep there for 8 nights. We ended up sleeping 3 of us in the double bed. Another thing is the water in the shower was cold and the water in the pool was icy cold so we didnt use it. We could book something even cheaper without the pool. The bus's times to the beach could be better. Think it should state somewhere on their website that it's really not suitable for people with walking difficulties. All up hill, not great for older, infirm or unfit people!! Staff were fine. Hotel was average. Decent for price paid. Small room for a family, not much storage space, beds very uncomfortable. Pool was cold but would be ok in height of summer I suppose. The fact that it’s in an isolated area and that you have to walk quite a lot to get to a beach (that’s if you don’t like waiting around for the bus to take you -we could never fit into its schedule). Also, they tell you, when you check in, that internet is only in the “wireless area” (which is at the disco and play room, underneath the reception) but that internet is just a joke as it’s almost unfunctional. P.S. : the pool is beautiful, but totally for decor on winter months as it’s not heated. Not good beds very hard. Not enough info when checking inn should offer remote and key to safe in beforehand. Staff very polite and helpful. Quick to respond. 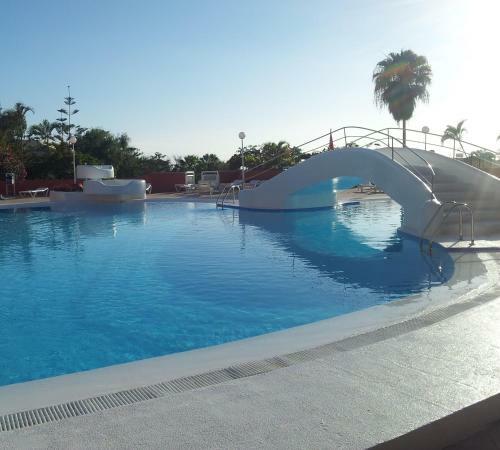 Many activities for children and the swimmingpool was very good. Clean facilities . The house keepers were very friendly .